Sometimes I really long to cover the walls of my home with beautiful, original art pieces. Unfortunately, in the art world, beautiful and original often means expensive. Plus, with how frequently I change my mind, it’s difficult to commit to a very pricey piece of art. So I turned to my favorite childhood craft to solve my debacle: Paper chains! Remember making paper chains in the classroom to decorate the room, or to count down the days until a certain holiday? 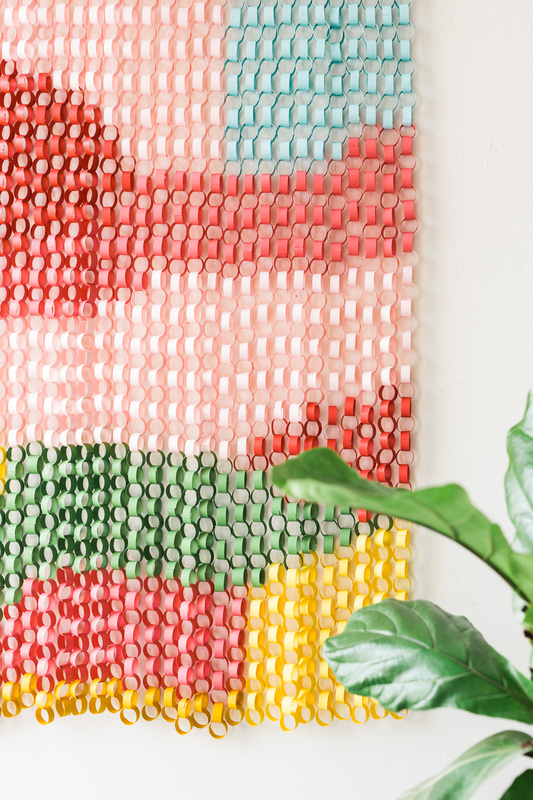 This paper chain wall hanging is a simple craft that can make a big impact. 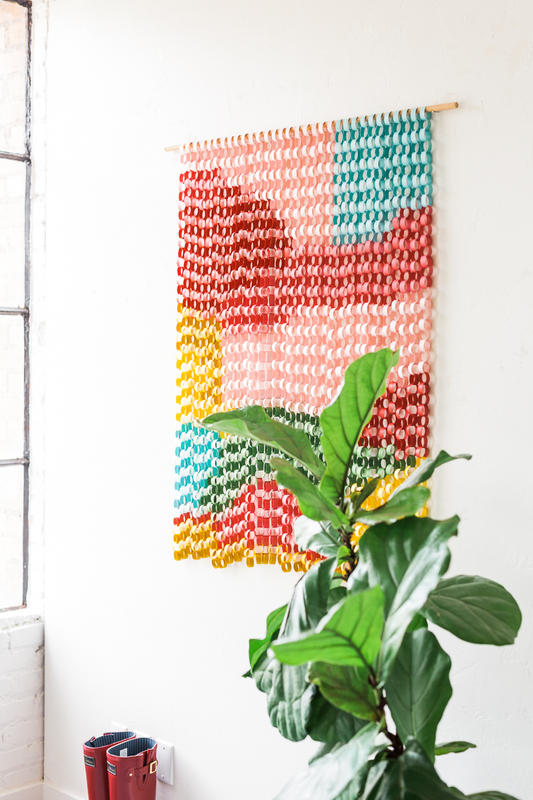 We created a more calculated paper chain art piece by focusing on color, shape, and design. The end result was a beautiful abstract design that adds just the right amount of color to an entryway! The total cost for this project is less than $10.00, and all you need is paper and some TV time to put this baby together! Grab the tutorial and color guide after the jump! 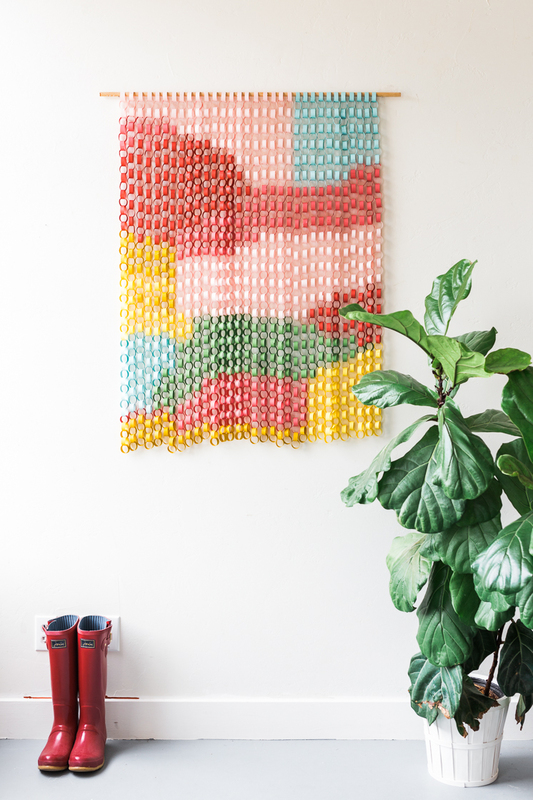 Guide for the paper chain wall hanging, here! Color Guide for the paper chain here, but feel free to choose whatever colors you want! 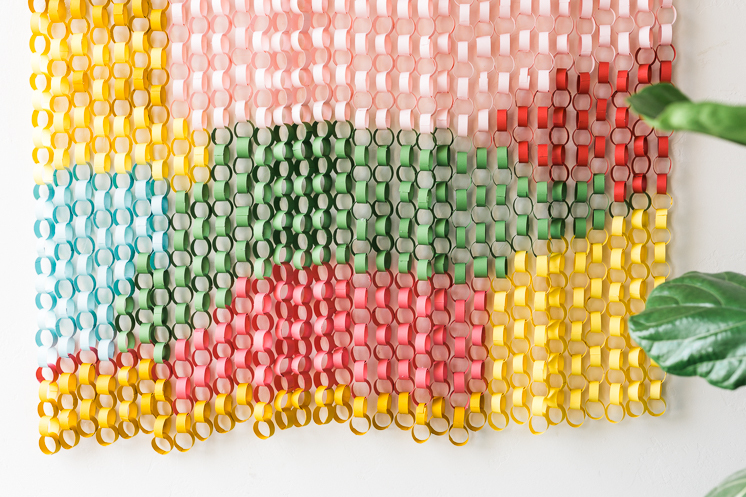 Colored paper in dark pink, light pink, blue, green, yellow, and gold. 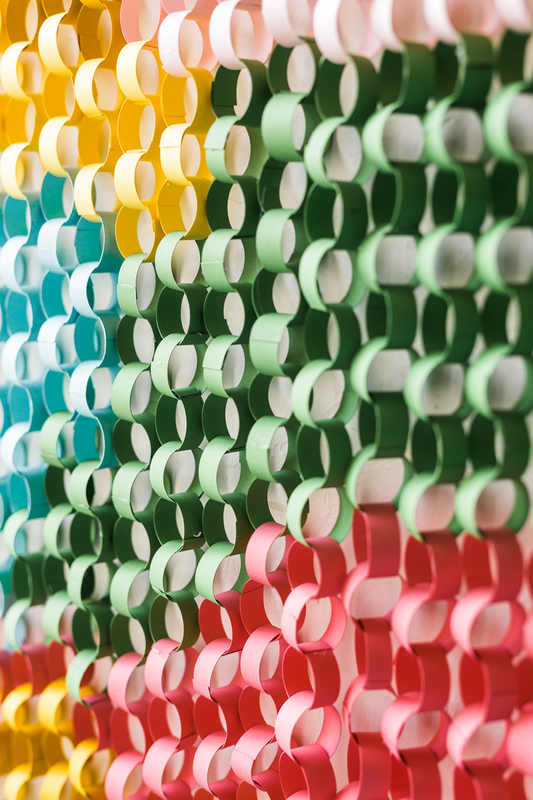 Follow the guide to create strands by overlapping about 1/2″ of each paper piece and securing with glue. Loop the next color through and secure with glue. Continue until you’ve completed a strand, and begin the next one. 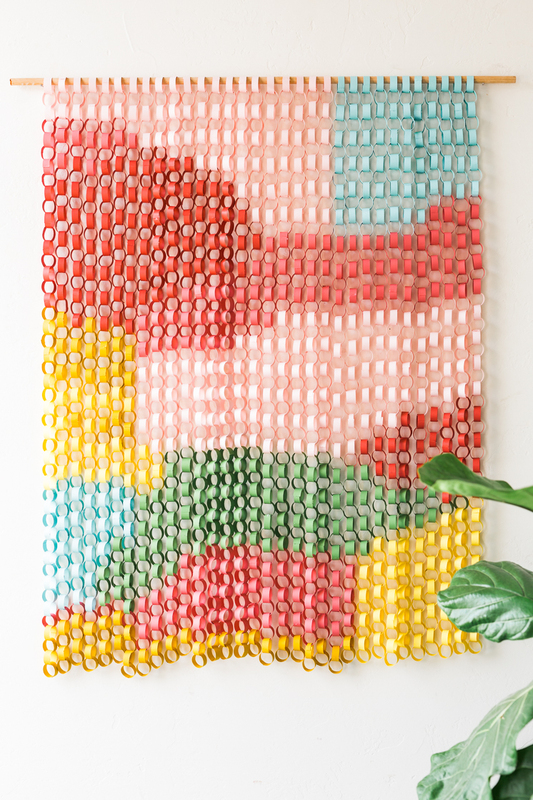 Slide the strands onto a wooden dowel and hang on the wall!